Once upon a time there was a fairy who baked scrumptious cupcakes in all colours and tastes and children and adults alike loved them! The fairy part is not true of course, but all the rest is. The place is called Lilicup. It is a small outlet with an outsized smell that wafts out to greet you when you are still metres away. It is no surprise that children love the place, but adults can indulge too. Cupcakes, in fact, come in two sizes, large and small. And it’s not what you think: the children always pick the larger size! At Lilicup you can choose to take the goodies home or eat them on the spot and wash them down together with a pot of tea or a cup of coffee. 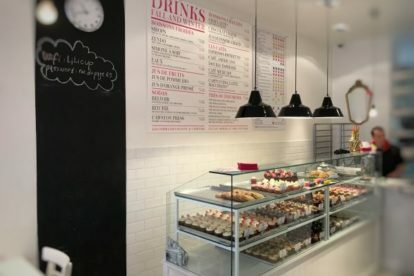 Their cupcakes may not be the cheapest in town, but once you sink your teeth into that soft icing, you will admit that one has to pay for quality.